Disclosure: I was compensated and received product for this post. All opinions are my own. My Grandma June used to pride herself that at 80 years old, she still had all her teeth. She used to talk about the importance of “cleaning your teeth” so that I could have all mine when I was her age, too. She was a wise woman and I listened to her advice. I brush my teeth daily, floss and visit the dentist regularly. Oral health impacts your overall health. 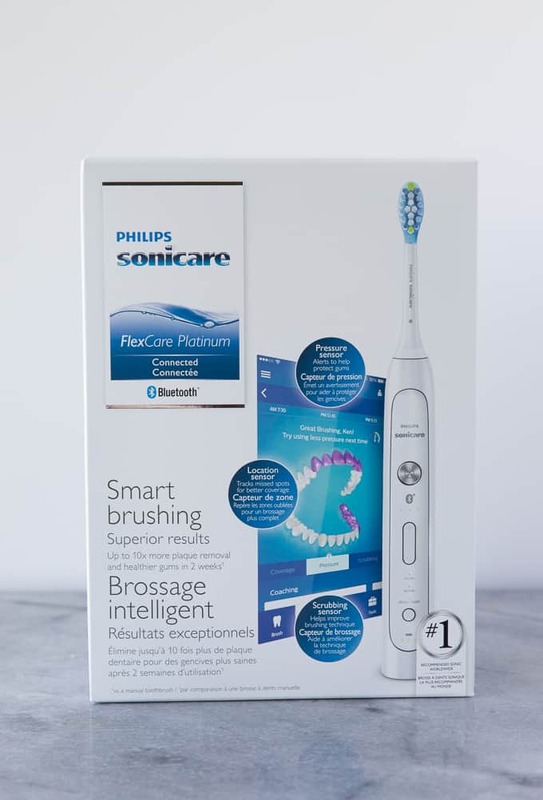 In the summer, I shared with you my experience using the Philips Sonicare FlexCare Platinum Connected toothbrush. Fast forward a few months and it’s still going great. I’m loving how clean it makes my teeth feel and appreciate the real-time feedback from the app. Make sure you read my post so you can learn how this toothbrush works! It’s not your ordinary toothbrush! I put the toothbrush to the ultimate test on my recent trip to the dentist. A couple weeks ago, I had my 9-month dental cleaning and check-up. I was curious to see what the dental hygienist and dentist would say about my teeth and if they would notice any changes. I crossed my fingers for no cavities! Normally, when the hygienist cleans my teeth, she is scraping off plaque for what seems like FOREVER. Inside I’d be cringing with embarrassment because of how long it was taking. I wondered what she was thinking about my oral hygiene habits. The last time I was there she told me I had a lot of plaque to remove. Yikes. On my most recent visit, she started scraping plaque like normal. However, she didn’t spend as much time on my back molars like she normally does. That’s usually where my problem area lies. When she was done cleaning, I was surprised at how little time it took especially when comparing it to my visits before. I asked how much plaque I had and she said I didn’t have that much and asked what I’d been doing differently. I guess she remembered me from before and spending so much time on my cleaning! I told her I was using the new Philips Sonicare FlexCare Platinum Connected toothbrush and explained a bit about how it works. She said to keep it up because it was working! The dentist came in to check out my teeth and asked the hygienist how my oral hygiene was. The hygienist said it was “great”. I breathed a sigh of relief inside because I’m sure no one wants to hear that they have bad oral hygiene. Also, no cavities here! 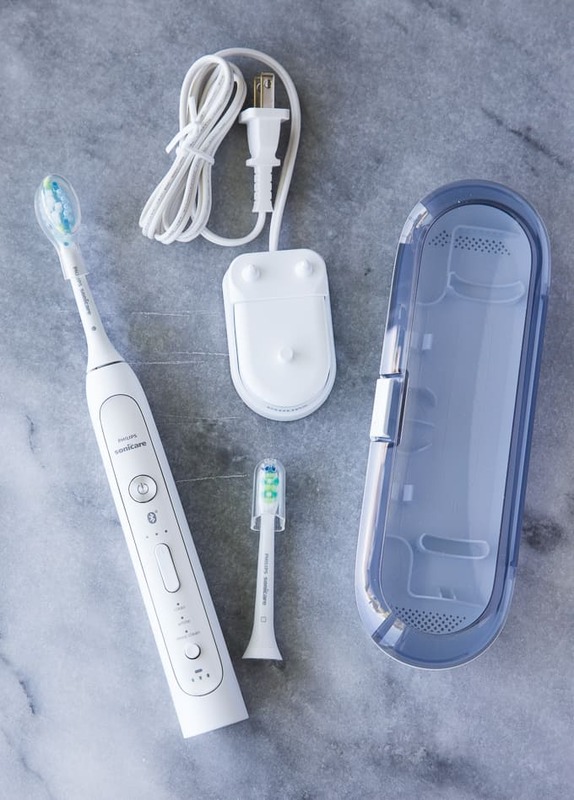 I’m due back in another 9 months and I plan to continue to use the Philips Sonicare FlexCare Platinum Connected toothbrush since it’s been working so well for me. Want one for yourself? Visit Philips to find where to buy. They’d also make a nice holiday gift for a loved one! I want to buy one for my 19-year-old daughter. I know Grandma June would approve and appreciate the positive feedback from the dentist. I want to keep all my teeth in good condition so I can be proud like she was for having all her teeth into her senior years! What is your oral healthcare routine? I brush and floss twice a day. I’ve been thinking about moving to an electric toothbrush. I know they’re much better than manuals. This one looks great! That SmartBrushing tech is amazing! I love that I can actually get a report on where I need to improve my brushing. My dentist recommended this particular toothbrush the last time I was there. I guess I’ll need to give it a try. We have the DiamondClean version with the app. I love the way it works to keep my teeth healthy. Wow, who knew that brushing your teeth could go to this level! It’s so cool! I would love one of these high tech tooth brushes! This looks like a great toothbrush. It’s great to see so many nice toothbrushes. I think these electric ones are great too. It’s awesome that this has been working so well! I tend to like Sonicare toothbrushes a lot and this one sounds great. I’ve heard amazing things about the sonicare but have never tried it … I may need to check out the Black Friday deals. This sounds perfect for deep cleaning. Fresh breath is a must plus I always want to take care of my teeth. This sounds like the perfect gift. That’s an awesome toothbrush. I used to have an older version and I loved it. I need to get a new one. I think I need to get this toothbrush for all the members of my family! It would be fantastic to get that kind of deep cleaning at home! Sounds like a great toothbrush and I love that it lets you know where you need to clean better. Wish these had been around in my day as a teenager. I need to get this toothbrush. The back molars are always the hardest to keep clean.